Rock Chapel Elementary principal unites parents through ‘Coffee and Conversation’. 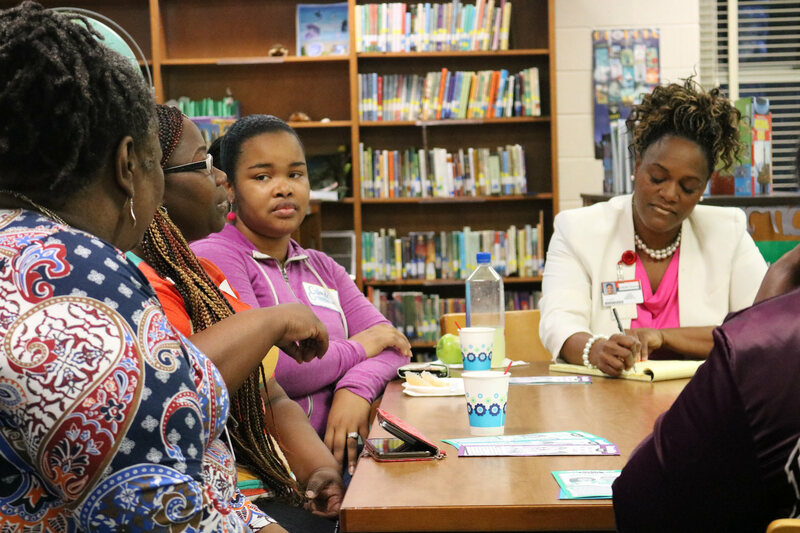 Rock Chapel Elementary Principal Lisa Green is using tried and true methods to open lines of communication with parents and the surrounding community: coffee and conversation. Green sat down with Rock Chapel parents on January 11 to share her overall vision for success and mission as an education leader. Green also briefed parents on short-term and long-term goals, expected facility improvements, her hiring policy for teachers, and the school’s relationship with officials at DeKalb County School District. In return, parents shared their expectations for Green, requests for the future and stories of appreciation. The parents who attended the hour-long event said Green followed through on her promise of providing an “Open Door Policy.”. Green told parents she hopes to come together once again in March to involve even more parents and members of the surrounding community. Rock Chapel Elementary is located at 1130 Rock Chapel Road in Lithonia.